A late 8-0 run in the second half proved to be enough to lead the Owls to an 85-74 win over ECU on Wednesday night. Temple was able to maintain a big lead late in the game behind the stellar play of Quinton Rose and Nate Pierre-Louis. With 14 minutes left to play, the Owls only led by one point, 42-41. The big 8-0 run proved to be the turning point that the Owls needed, in a time that looked to be favoring ECU. Shizz Alston, Jr. hit a huge three-pointer which was quickly followed by a Pierre-Louis slam-dunk. Rose capped off the run with a three of his own, making it 50-41. The Owls stayed in front the rest of the way, never letting ECU within less than six. Temple toned things down as the time expired in the first half. They led 24-4 in the early goings of the game, but coming out of the half, the team looked shaky, letting ECU come within one. Their standout players really helped the team gain back the momentum, limit ECU from getting within striking distance and walk away with the win. Alston ended with 23 while hitting his 200th career three-pointer, Rose had 19 and Pierre-Louis had 16. The Owls have struggled with keeping their foot on the pedal as the games get deeper, sometimes allowing the opposing teams to climb back into things, making for a closer finish. The Owls were able to adapt to this situation and walk away with an 11-point win. As a team they shot the free throws pretty well once again, shooting 72 percent. They also shot 50 percent from three-point range, which proved to be a big upside for the Owls. On the defensive side, Temple had a difficult time stopping ECU’s freshman forward, Jayden Gardner, who led all scorers with 27. With the win over ECU, Temple improves to a big 14-3 on the season. Their conference record is now 4-1, which ties them for first place in the AAC with Houston and Cincinnati. 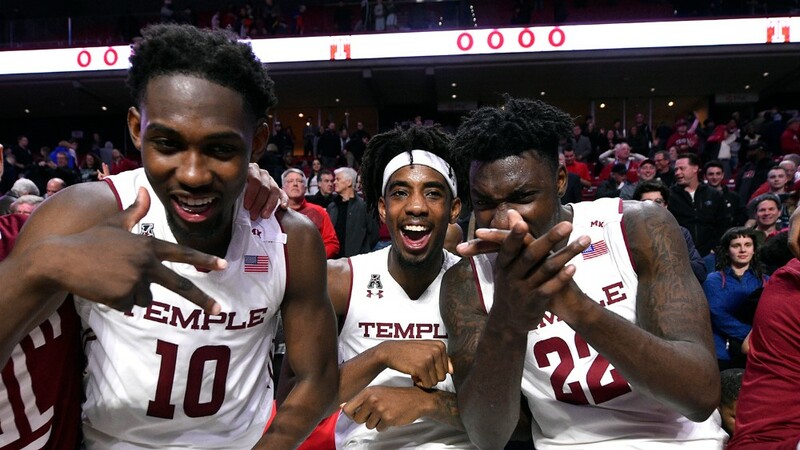 The Owls play a non-conference game against the University of Pennsylvania this Saturday at home, in what will be Fran Dunphy’s final game against his former team, the Penn Quakers.